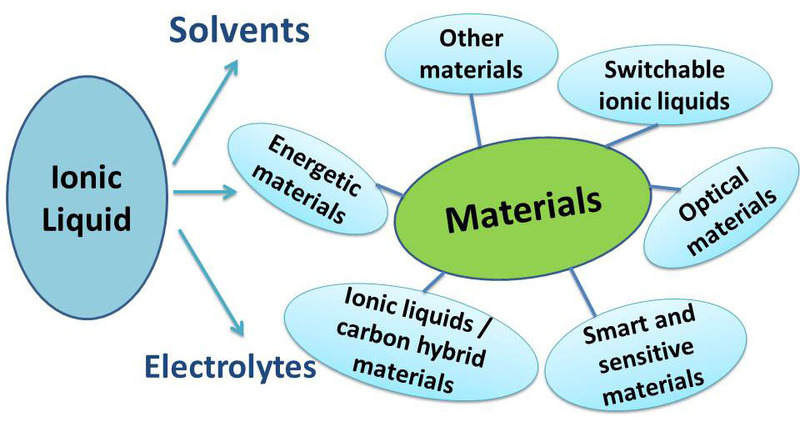 In the last decade the interest in ionic liquids as promising solvents for the synthesis of nanomaterials has considerably increased. They have been used as synthetic media, precursors and even components to tune the synthesis and properties of nanomaterials. Nowadays the field has grown to encompass mixtures of ionic liquids and organic solvents, as well as water which have been exploited to develop novel nanostructures with different functional properties. Until now the focus has mainly been set to material synthesis, but there is little known on how ionic liquids and their mixtures influence the growth of nanomaterials. Models that correlate the physicochemical properties of ionic liquids with those of the obtained nanomaterials are lacking in literature. A better experimental and theoretical understanding of the fundamental processes would be a great benefit to materials science and open up new avenues. In this special issue we particularly encourage articles which reflect this insight and reveal the mechanism of ionic liquids for developing and tuning the properties of nanomaterials. Besides, we also encourage the submission of articles related to materials synthesis in ionic liquids and application in its broadest sense. All accepted papers will be published totally free of charge. Manuscripts should be submitted online at http://www.lidsen.com/account-login by registering and logging in to this website. Once you are registered, click here to go to the submission form. Manuscripts can be submitted until the deadline. Papers will be published continuously (as soon as accepted) and will be listed together on the special issue website. Research articles, review articles as well as communications are invited. For planned papers, a title and short abstract (about 100 words) can be sent to the Editorial Office for announcement on this website. Submitted manuscripts should not have been published previously, nor be under consideration for publication elsewhere (except conference proceedings papers). All manuscripts are refereed through a peer-review process. Guidelines for authors and other relevant information for submission of manuscripts are available on the Instructions for Authors page. Recent Progress in Materials is an international peer-reviewed Open Access monthly journal published by LIDSEN. Please visit the Instructions for Authors page before submitting a manuscript.